You might have a bedroom that is poorly designed and you have that desire to do a make-over in order to get a design that looks good and cozy at the same time. Well, you can always do that. You can start by creating storage areas to keep all the clutter and to organize your stuff. 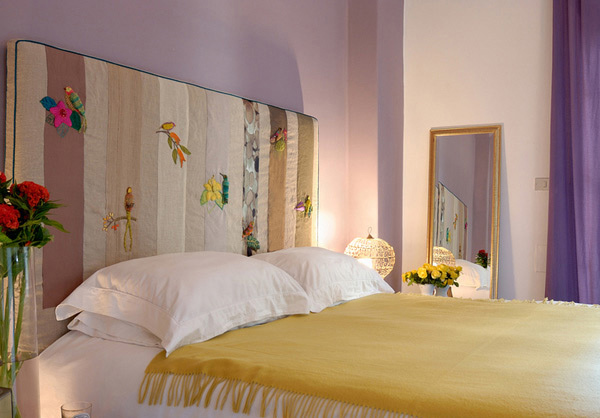 Then you can think of adding color to your bedroom through wallpaper or paints. Grab a new set of bedding to match with the color of your bedroom. 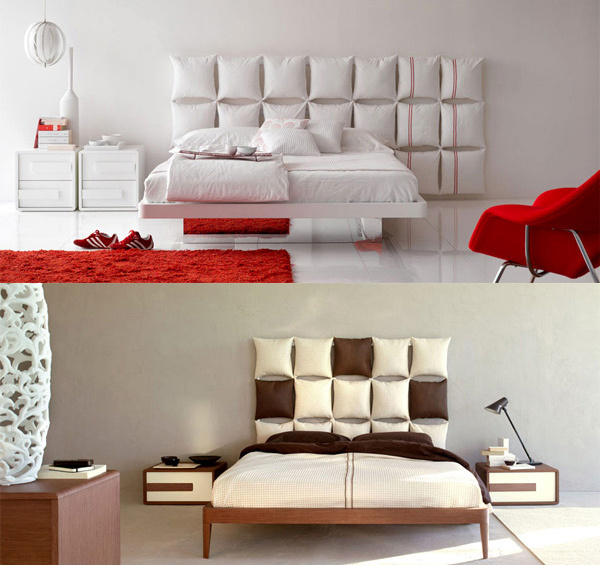 You can also choose a new headboard design that can create a statement for your bedroom. 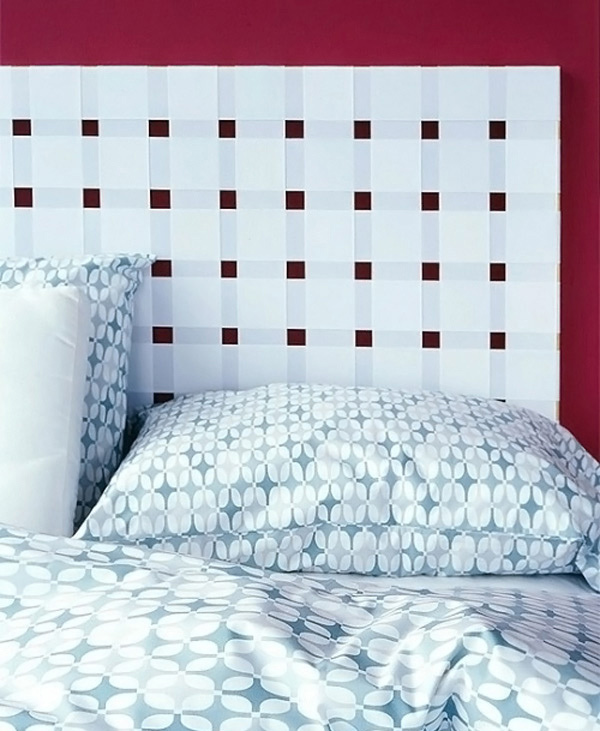 There are so many ways on how you can make a headboard of your own. This can come from wood, wallpaper, upholstery, and many others. You can also be creative on the materials you can use. But be sure that the design you choose will complement with the interior of your bedroom. So, to give you ideas on what to do with the headboard, we have here 20 creative headboard designs to come up with an ultimate bedroom makeover. 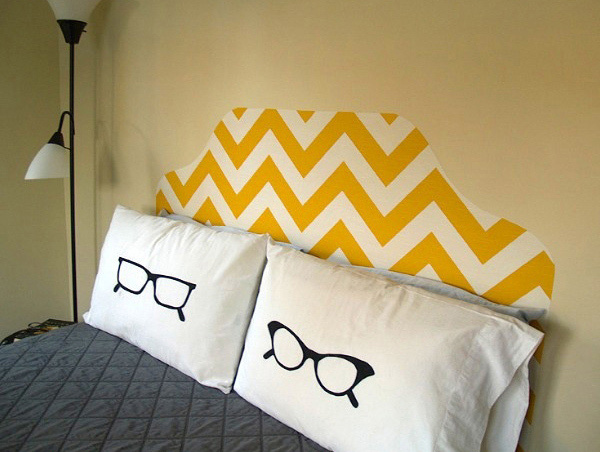 Who would think that even pillows can look great as a headboard? Olivieri Mobili certainly succeeded in conceptualizing a design like this. Old shutters would look great if you place a patterned upholstery inside each rectangle. A wallpaper can also be a good substitute to upholstery. 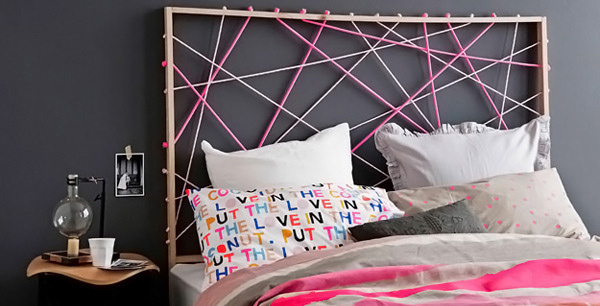 You will be pleased to know that you can also make use of ropes for your headboard. Be creative in your manner of placing it and you can also choose great color combinations for a better look. If you love reading while in bed, this light headboard can be be suitable for you. Pair it with panels of wood to match the lighting creating a minimal design. 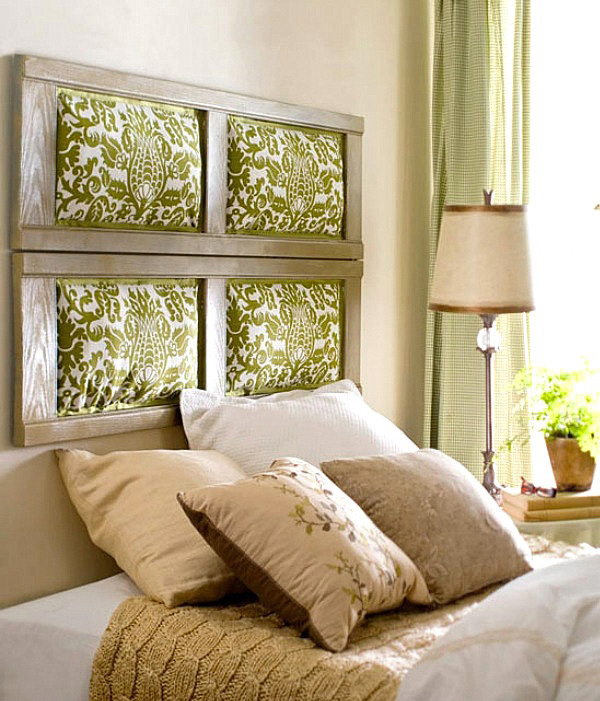 Achieve a rustic glamour look with the use of this headboard made from metal. Combine rough and soft textures together and you will get a bedroom as sophisticated as this one. 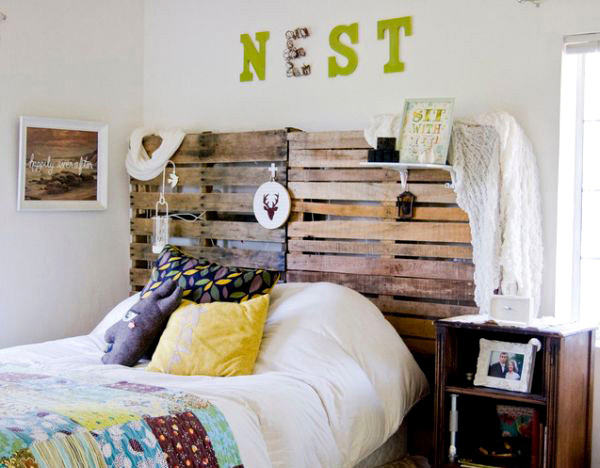 Another creative way of making your headboard is by using waste or excess woods. It can even look lovelier with some items placed on it. 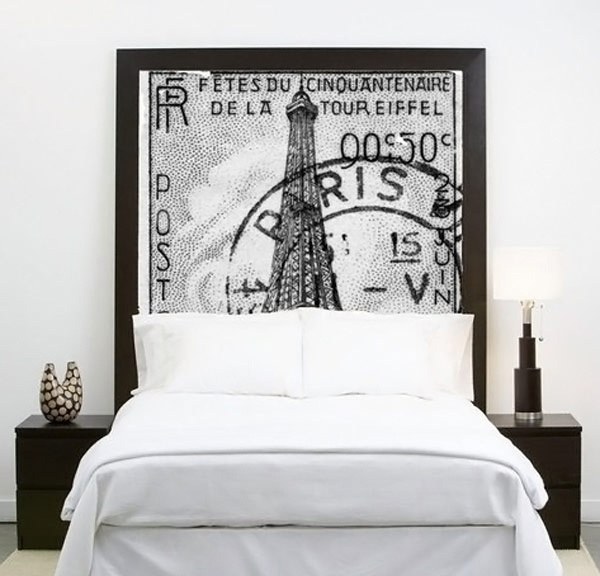 If you are a fan of the beauty of Paris, this headboard can be right for you. It can also add a vintage look to your bedroom. The design is a combination of french country and glamour with a wallpaper painted in faux finish added with a hanging decor to achieve the country look. 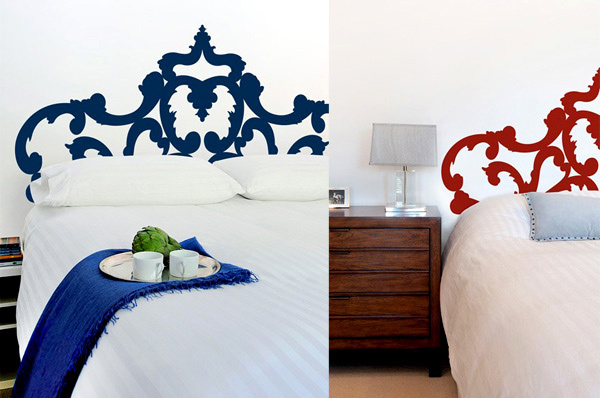 Just one of the many headboard decals from Blik which can sure give a modern grace to your bedroom. It comes in different colors depending on what you want. A very cheap headboard which is only made from a curtain. 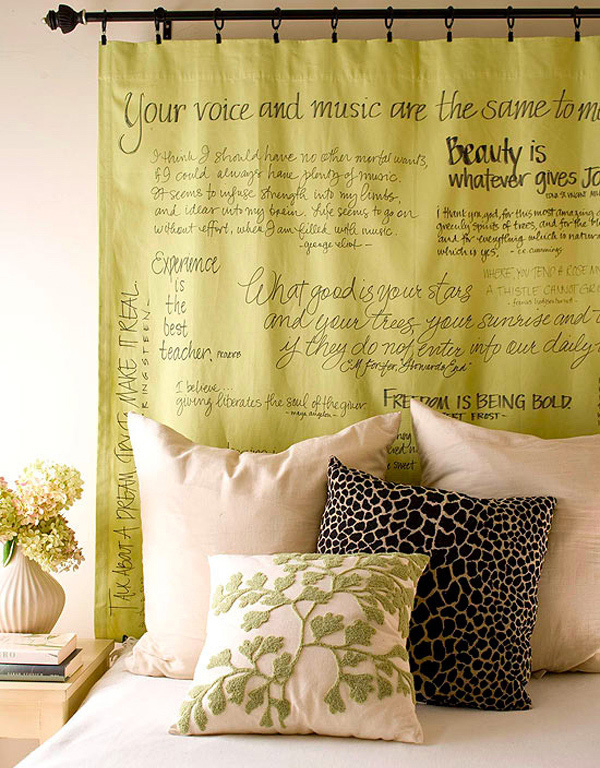 Just write words from your fave quotation and other text that could inspire and you will get a headboard like this one. 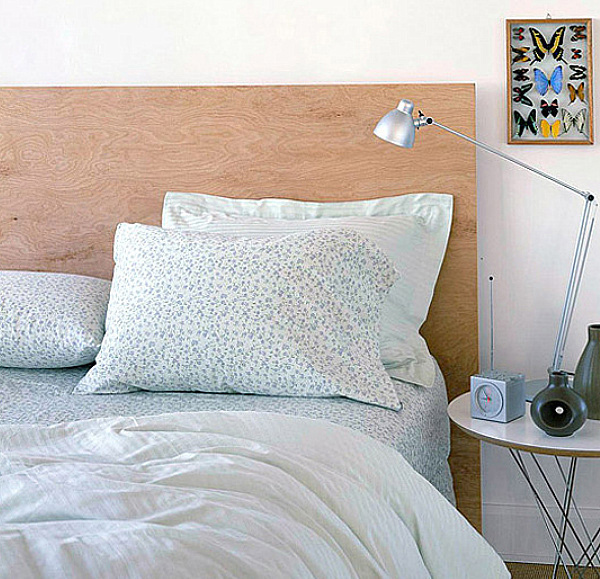 Add beauty to your bedroom’s headboard by placing various framed items to mimic a gallery showing your own personality. Give detail to your headboard through embroidery like this one. Lovely isn’t it? These cubes are just made from scrap fabric, carefully chosen and sewn together to come up with this modern look. 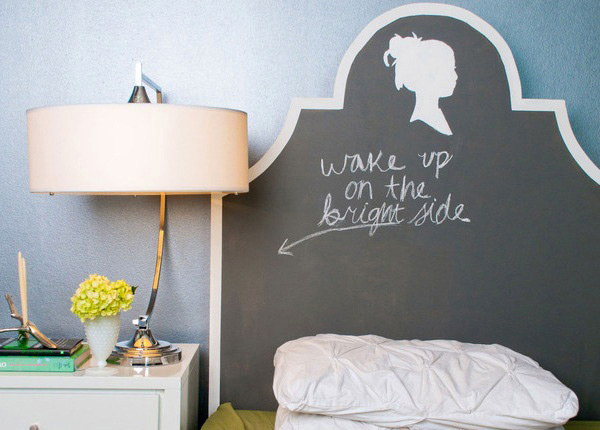 You can change the writings of this chalkboard headboard anytime you want. 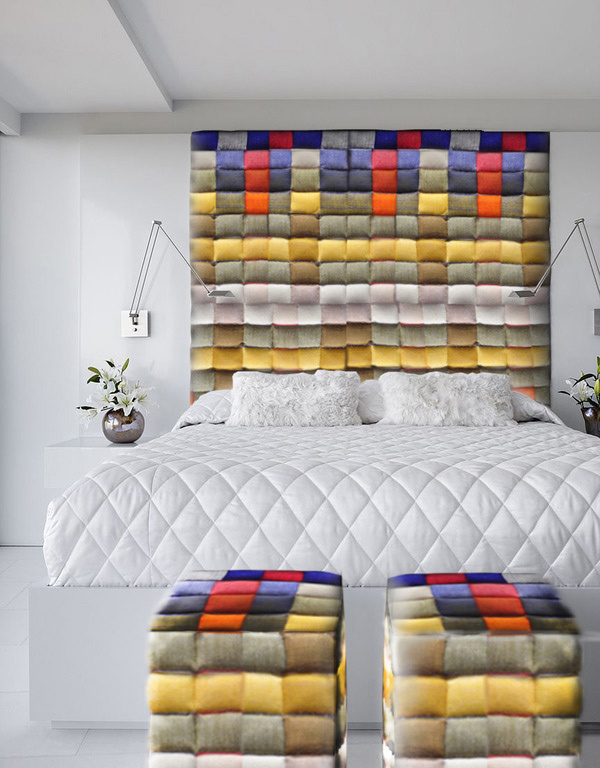 Give your artistic self a freedom to sribble on your own headboard. 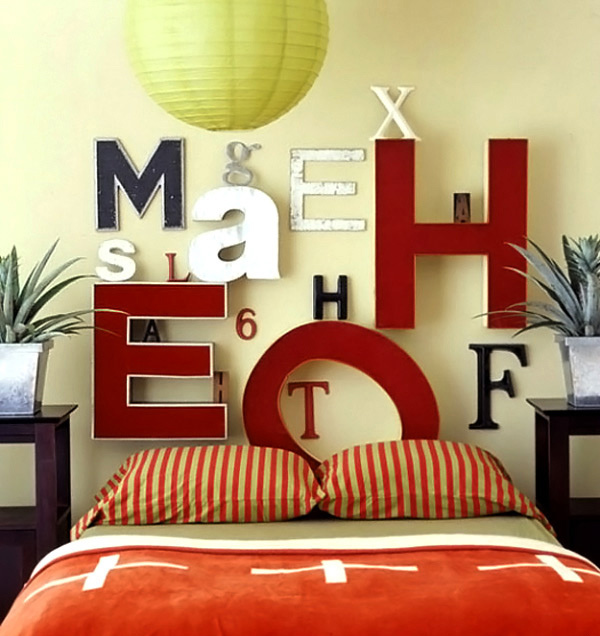 Be creative by using various letters in different sizes as your headboards. Grab these letters from your craft store of make one for yourself using boards. Starch a fabric to stifen it and use it as a heaboard. You will be surprised on how this was one was made. This one is indeed simple. 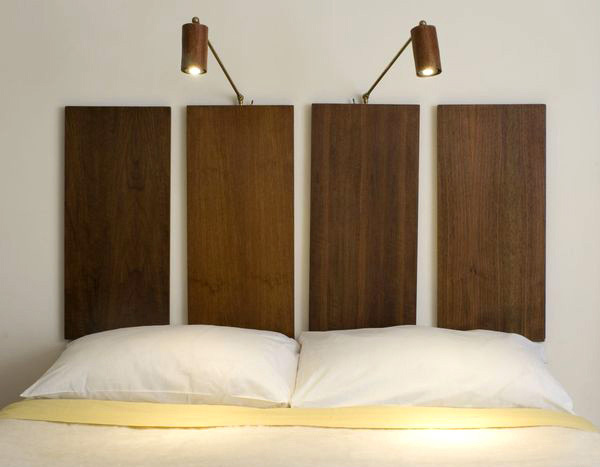 Just place a plywood behind your bed and you will get a modern look. Get a painted old frame that is big enough for your headboard and place a wallpaper in it. 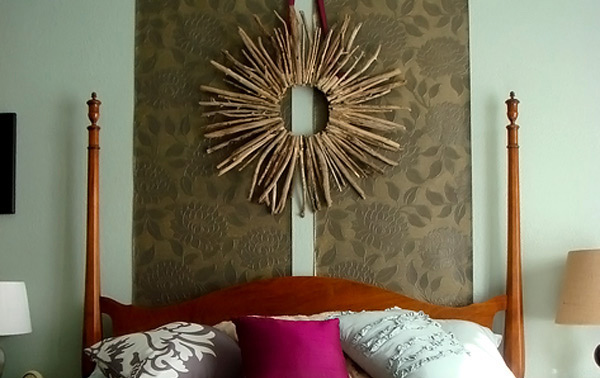 Want a cheap and easy to make headboard? This one would qualify. 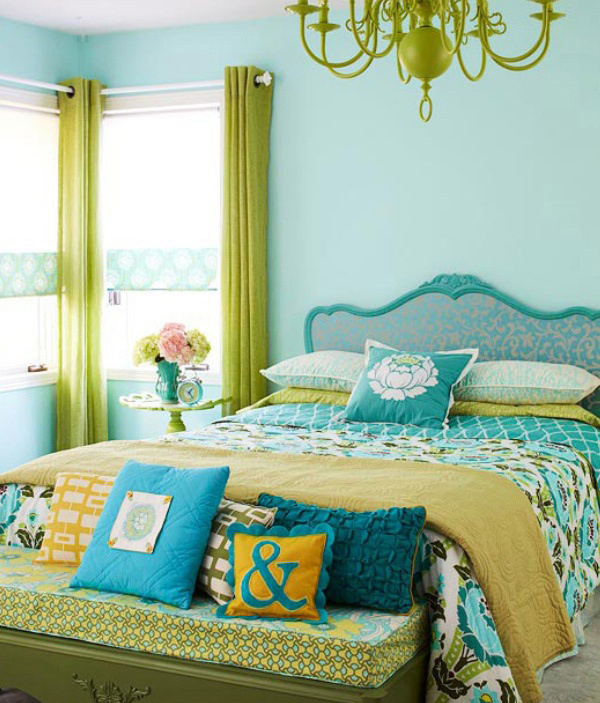 You can use other colors for the headboard aside from white for a lively look. How pretty this headboard is! 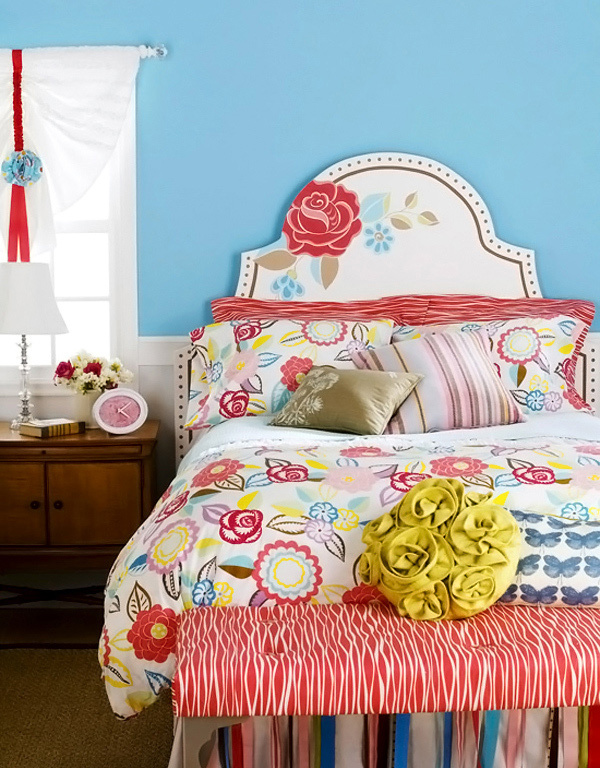 It was merely painted with this rose design and it turned out very attractive with matching floral beddings. 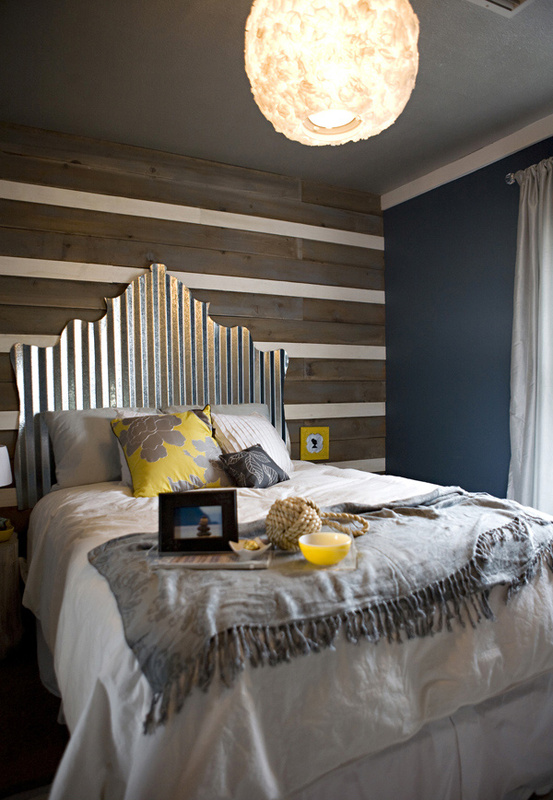 These headboard designs are not just creative and artistic but it can be done by anyone. So, if you want to get the look of those headboards, you can simply get your own materials and you can even end up with a design a lot better than the ones we have showcased here. You can also take a look our Tips in Choosing a Headboard Design for your Bed so you can be guided in choosing a headboard for your bedroom.